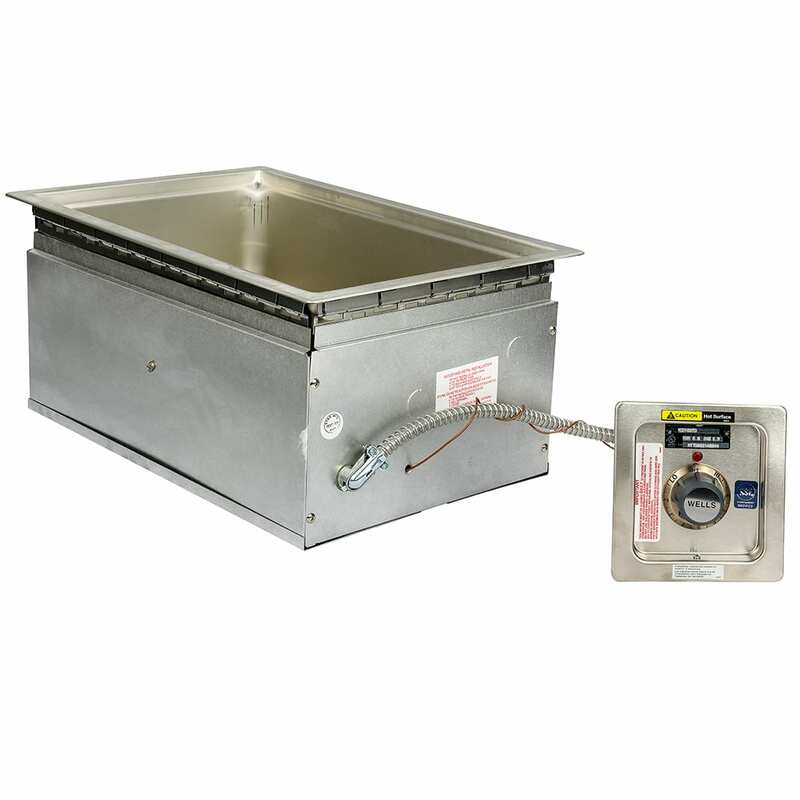 The Wells MOD100TD drop-in food warmer holds one standard food pan or many combinations of fractional pans that add up to 12 inches by 20 inches. The unit's thermostatic controls are recessed to protect them from spills and damage, and they can be mounted on the front of the counter where it's most convenient to users. This food warmer is made easy to clean by the well's one-piece construction, and the well is fully insulated to prevent heat loss and encourage energy efficiency. Food Warmer, top-mount, built-in, electric, (1) 12" x 20" opening with drain, wet/dry operation, thermostatic controls, stainless steel interior, insulated aluminized steel housing, cULus, CE, 208/240v/60/1-ph.